Now, the bad blogger in me wanted to use these straight away, so I don’t have nice clean untouched bottles in this photo. But I just couldn’t resist! All the while I was using it, I was thinking ‘yes, this ticks all my boxes’ – by the way, does anyone else find that beauty blogging makes you analyse things so much while you’re using them?! Price – Yes, the first thing I look at in haircare is the price. About £3 a bottle is my upper limit (although I love Aussie, I never buy it full price), and I know that Herbal Essences is pretty much permanently on half price offers. Perfect. Smell – Bee Strong smells lovely. It has that gorgeous Herbal Essences floral base, with just a hint of honey. It’s not a pure honey smell, and that might disappoint some, but it is very very nice, so have a sniff. Hair-feel – Yeah, that’s a rubbish name for a category, sorry. But I’m sure you know what I mean: a product has to feel nice while you’re using it. The shampoo doesn’t tangle my hair up when I wash it out, and the conditioner leaves it feeling really silky and easy to comb through (impressive on my birds nest!). I like the creamy consistency of the shampoo, much better than a runny gel! The conditioner is also lovely, almost as thick as a treatment rather than a normal conditioner! Effects – My hair feels bouncy and soft after use, and is perfectly manageable without any of my other normal necessities (Elasticiser, Lush R&B, endless serums). It stays clean for around two days, which is pretty good. So I’m pretty thrilled with these – have you tried them? What do you think? This entry was posted in Beauty and tagged beauty, beauty products, beauty review, bee strong, conditioner, haircare, herbal essences, herbal essences bee strong, honey, shampoo, toiletries. Bookmark the permalink. ← The Starting Off Project, Week 6: Mascara! 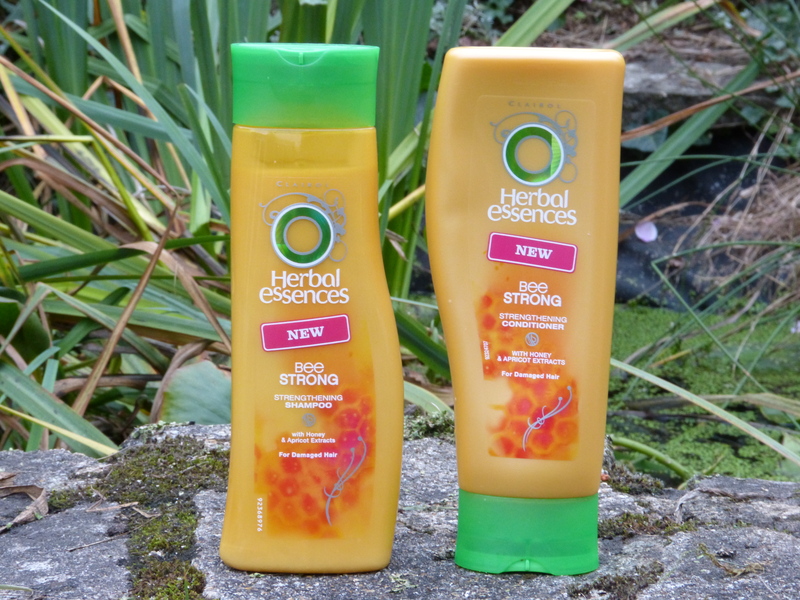 I love Herbal Essences….. but hate honey. This sounds looovely! Are they very heavy on the hair? We’ve nearly run out of shampoo in the house and I’m pondering something new! Oh really? That’ll be fun! Although I hope against hope they don’t change the formulations of Bee Strong or Beautiful Ends, they really work for me! Ohh I really want to get this! Aftet I saw the commercial with Nicole Scherzinger I was so curious! Im using the hair-thickening shampoo by elvive right now but just for the smell Im gonna get this line!